Mechanical needle straightening and shot peen forming operations generally means finishing the shape of a component or a metal structure. Following large deformations, these straightening or forming operations can be performed using a high-load press to exert mechanical pressure. For finishing, or where deformation occurs after chemical or mechanical treatment, the most common way to precisely adjust the curvature of a work piece is to use a simple boilermaker hammer. The use of the hammer involves a significant treatment time and can cause musculoskeletal disorders to the operator. A pneumatic hammer may also be used. Download our brochure about straightening and shot peen forming ultrasonically activated. Our cold impact mechanical treatment process is a reliable and proven alternative to a hammer or pneumatic hammer, with less impact on operator health. With efficient process control combined with quick and easy tooling, this solution is increasingly becoming popular throughout the industry. The forming and straightening operation changes the geometry of a metal piece to progressively reach the desired shape. 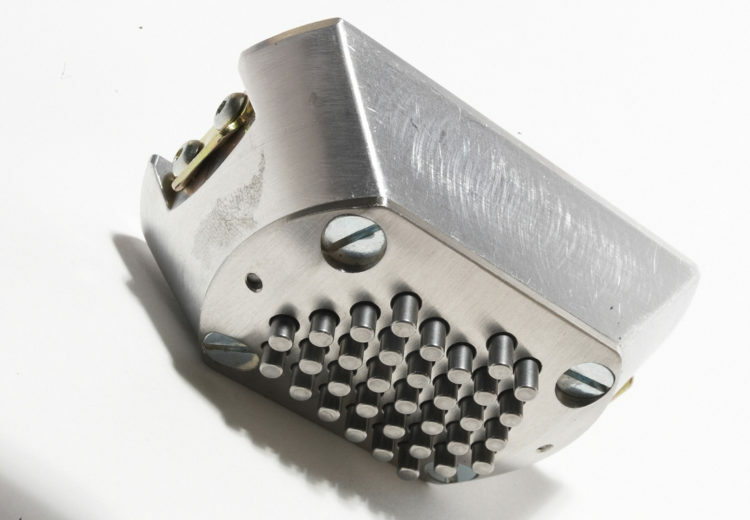 This mechanical shot peen forming and straightening process uses STRESSONIC® technology. The impactors located in the treatment head pick up velocity in contact with the vibrating sonotrode and impact the metal to be treated. They act like a network of tiny hammers striking the surface at high frequency, and independently of each other. This creates superficial compressive stresses. 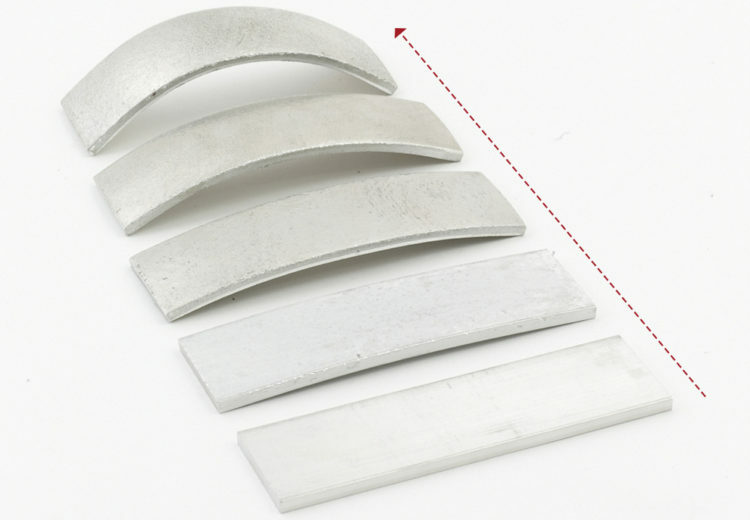 The difference in stress between the surface and the core of the metal plate causes a change in the plate curvature. By treating the appropriate surface, it is possible to adjust the shape of the part to the specified geometry. The shot peen forming treatment is applied on the part with our portable shot peen forming equipment : STRESSVOYAGER® UNS. Read our publications about ultrasonic shot peen forming and straightening process.